It was none other than the super important Cuban bandleader Benny Moré, who was so taken by Ismael’s skills that he dubbed him El Sonero Mayor. To hear Maelo sing is to hear Africa and its culture reminding you that we are the sons and daughters of that continent. Maelo had a voice that exuded pain and pleasure, tragedy and triumph, hurt and hope, simultaneously and effortlessly. No one could improvise like Maelo, truncating and twisting words, melodies and rhythms all without missing a beat. On this particular day, all the televisions in the barbershop were tuned in to the Dominican Republic based Telemicro channel, which was hosting a tribute to the late great sonero. Everyone, barbers and clients alike, watched in reverential silence as the usually bombastic host respectfully asked his guests to share memories of the singer as well as their favorite songs. When the respective guests would sing a few lines of their favorite tunes, the silence would break and everyone in the place, in unison and with gusto, would belt out every word. Being such a huge fan of the icon, I could not help but be overjoyed by the entire spectacle. As everyone watched the screens mesmerized and sang with all their heart, a lone tear slipped out of my eye, which was quickly and resolutely wiped away. 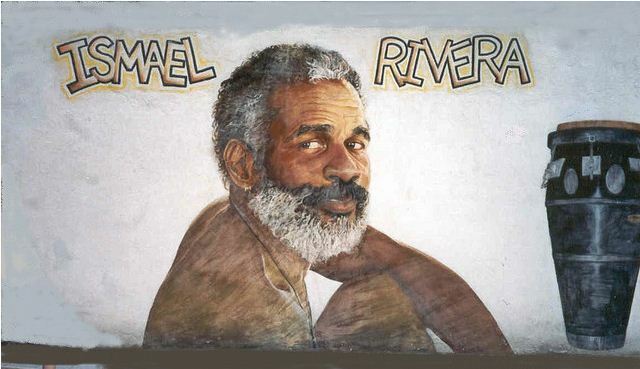 In that very moment, in that very place, I felt Ismael Rivera’s larger than life presence. Maelo you are gone but not forgotten. El Sonero Mayor lives! Click here for another Uptown Barbershop Trending Topic. This entry was posted in #WHIN, Music, Writings and tagged El Sonero Mayor, Ismael Rivera, Latino, Led Black, Maelo, Music, Salsa Music by Led Black. Bookmark the permalink.